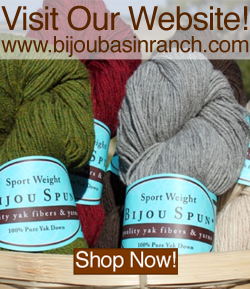 At Rhinebeck and SAFF this month, we will have an extra-special treat waiting for you in the Bijou Basin Ranch booth: 100% Paco-Vicuna yarns, fibers and rovings! We are excited to offer these extra-special fibers in limited supply and will have yarns and rovings in 6 natural shades of white, beige, light/medium/dark vicuna and a rich mahogany, all in a variety of grades/weights. Paco-Vicunas are a very special type of alpaca which is closely related in many was to the vicuna (hence the name, Paco-Vicuna). 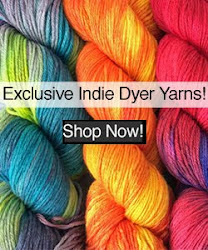 Their fiber is extremely light with impressive uniformity, good staple length, and a lovely crimp. The fiber also has a high degree of curvature which is similar to Merino. We've managed to source fibers which fall into two of the softest grades; Grade 1 ranges from 15-17 microns and is every bit as soft as yak and cashmere, while Grade 0 is less than 15 microns and even softer than cashmere! 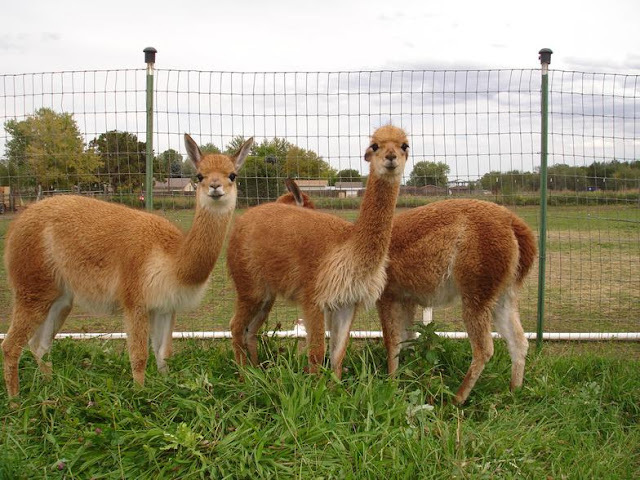 These superior fibers come from two-year fleece which have a standard 3-inch minimum for staple length, with many of the fine fleeces measuring between 4 and 4.5 inches for staple length. Every individual fleece is micron tested, allowing us to offer the finest, most uniform product possible. 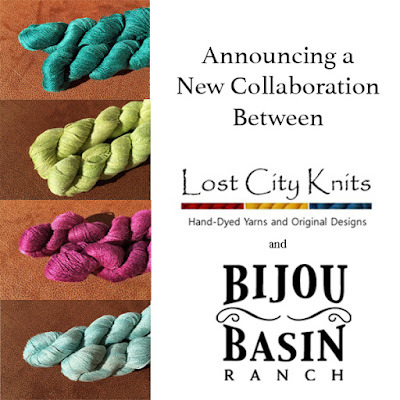 Squeezing is believing, of course, so be sure to stop by the Bijou Basin Ranch booth at Rhinebeck and SAFF to give these truly exceptional fibers a squish! We also have four new hand-dyed colorways of our yak and silk blend laceweight yarn, Shangri-La, which will be making their show debut at Rhinebeck this weekend! 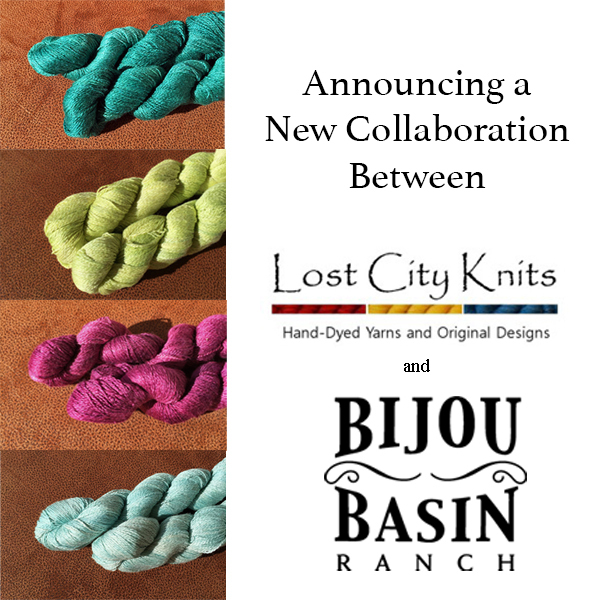 They are hand-dyed for us by Lost City Knits, and they are already available for purchase here in our online store for our fans at home!